Should Christians support the right of the Jews to live in and settle Jerusalem, Judea and Samaria, sometimes incorrectly known as “The West Bank”? Among the Christians that are familiar with what should more correctly be titled “Israel’s Biblical Heartland,” I would venture to say that more than 50% are against Jewish settlement there, and prefer to support the so-called “Palestinian narrative.” This is not an article that will try and solve the age old Middle East peace conflict. It is, rather, a simplistic approach as to why I believe Christians should support Israel’s right to Jerusalem, Judea and Samaria in 2019. To do this, I’ve outlined 3 reasons – some biblical, and some practical – as to why Christians should be standing with the most hotly contested piece of real estate in the world. 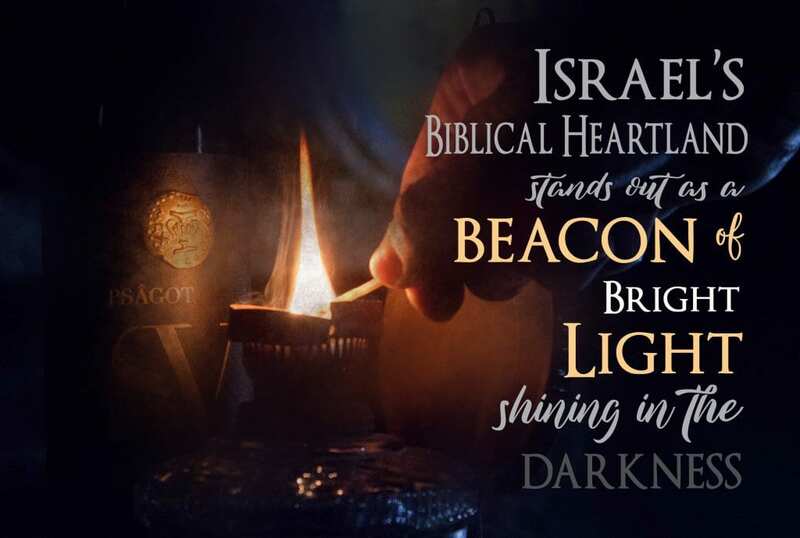 In a world filled with darkness and ever-increasing evil, Israel’s Biblical Heartland stands out as a beacon of bright light, shining in the darkness. For example, there are 120,000 residents in the Shomron (Samaria) Regional Council, with an astounding 8% annual growth rate! The rest of Israel has a 1.8% annual growth rate. Obviously, their biggest reason for such a high growth rate is the average family size, as most families are Orthodox and have more than the average number of children. If you compare this with a simple online search for the world’s average population growth, you will only come up with 1.09%, which has steadily decreased every year for the last several years. It is obvious that Jewish families living in Samaria are flourishing! In a world where the average annual population growth is declining, Israel’s Shomron region alone stands out as a thriving, growing community. Yes, it’s true! Throughout Jerusalem, Judea and Samaria, it’s impossible to throw a rock, sit down on a bench, dig a hole, or even build a parking lot without touching a story straight out of the Bible! Abraham, Isaac, Jacob, and their descendants all the way to Yeshua (Jesus) traveled the Road of the Patriarchs (now called Road 60) when going to and from Jerusalem and beyond. If we simply start at Mt. Gerizim, we find the story of the woman at the well (John 4), as well as multiple stories of Yeshua stopping at the town of the Samaritans. From Mt. Gerizim, we could throw a rock and hit Joseph’s Tomb, as well as the field that Jacob bought (Genesis 33:19). Across from Mt. Gerizim is Mt. Ebal, where Joshua’s Altar (Joshua 8:30) still stands today, and where the tribes stood and listened as Joshua declared “as for me and my house, we will serve the LORD.” (Joshua 24:15) Across the valley is Elon Moreh, where Abraham stood in Genesis 12, when God first promised him the land. We don’t have the space or the time, but we would also pass by the stories of Micah, the Tabernacle at Shiloh, Jacob’s Ladder at Bethel, and Jeremiah’s field in Anathoth as we drive to Jerusalem from Mt. Gerizim. 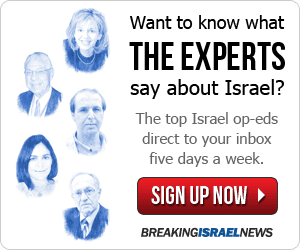 This list is only scraping the surface of Israel’s rich Biblical Heartland. Did you know that every time God gave or reaffirmed the covenant with the patriarchs, each instance also took place in Judea and Samaria? There is one exception – when God reaffirmed the covenant with Isaac while he was in Gerar (Genesis 26), also today known as the Gaza Strip. (Enough said, there.) God first spoke to Abraham in Elon Moreh (Genesis 12), He spoke to Jacob in Bethel (Genesis 28), and He walked Abraham through the covenantal process and later reaffirmed it in the region of Hebron (Genesis 15,17). All of these places are within the Biblical Heartland. Is it a coincidence that the places where God chose to promise and ratify His covenant with Israel are all under attack today? There are three places in the Bible that are recorded as being bought by the nation of Israel with a set price, and a signed deed of contract. Ironically, all three are currently being hotly contested by the enemies of God’s Word. And he bought the parcel of land, where he had pitched his tent, from the children of Hamor, Shechem’s father, for one hundred pieces of money. Today, Jacob’s Field and Joseph’s Tomb (situated side by side) are in the midst of Shechem, also called Nablus, which is in Area A, a place that is illegal for Jews to enter, as mandated by the large red signs at the entrance to the city. Visits to Joseph’s Tomb for Israelis are allowed only 16 times per year, even though under the Oslo Accords, they were to have free access every day. And Abraham listened to Ephron; and Abraham weighed out the silver for Ephron which he had named in the hearing of the sons of Heth, four hundred shekels of silver, currency of the merchants. So the field of Ephron which was in Machpelah, which was before Mamre, the field and the cave which was in it, and all the trees that were in the field, which were within all the surrounding borders, were deeded to Abraham as a possession in the presence of the sons of Heth, before all who went in at the gate of his city. Even though we have a clear record of Abraham buying the land for 400 shekels of silver (today about $800,000 to 1 million), access to the site is severely restricted to Jews, and there are only a few days a year that they are allowed to visit the full site. After the war of 1967, Israel gave control of the Temple Mount to Jordan, and even today, it is ruled by the Jordanian Waqf. Until two Israeli policemen were shot and killed by a Muslim terrorist several years ago, the political climate on the Temple Mount was almost unbearable for Jews and Christians. Personally, I have been with multiple groups who were shouted at, pushed, shoved, and several times expelled from the Mount for doing nothing more than visit the site. Today, although it is much quieter, no one but a Muslim is allowed to pray on the Mount, access is severely restricted to certain times and days of the week, and Jews and Christians are still harassed when visiting. Jerusalem, Judea and Samaria – better-known as the Biblical Heartland of Israel – is a place that provides us with hope, a light shining in a dark world. A place where more than 80% of our Bible was either written or took place. A place where we have three clearly recorded pieces of real estate bought and deeded to Israel. There are many more reasons Christians should support the “West Bank” this year, but these should be more than sufficient to spur us to action. As Christians from the nations, we are privileged to have a part in this prophetic restoration. This year, we invite you to join us, for a program unlike any tour you’ve ever taken to the Holy Land. Not only will you have the opportunity to get your hands in the soil of Israel, but you will connect with her land and people, become immersed in her rich culture and heritage, and leave as an educated and effective ambassador on behalf of Israel’s Heartland. You will be like the two spies of old, Joshua and Caleb, bringing a positive message of the good news of Israel to your home community. Go to www.ServeIsrael.com to find out more about our volunteer programs in Israel this year. As a Bible believing Christian, we invite you to support the “West Bank” in 2019.